PNY Nvidia Quadro NVS 450 PCIe x16 videokaart kopen? | That's IT! 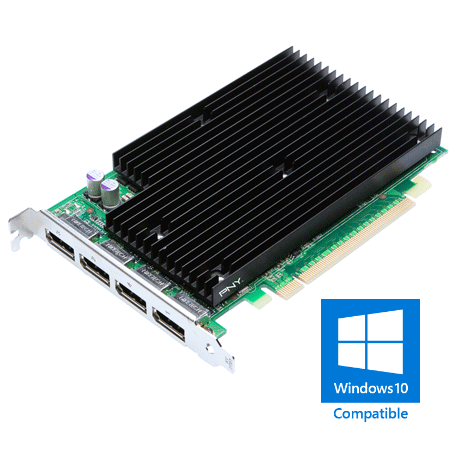 Professionele Nvidia Quadro NVS 450 PCI-express Quad-Head grafische kaart met 512MB GDDR3 SDRAM geheugen. Gebruikt, maar in perfecte staat. Wordt bulk in antistatische verpakking geleverd. The NVIDIA® NVS 450 by PNY delivers a reliable hardware and software platform for a stable environment and robust IT management tools for seamless enterprise deployment. Featuring NVIDIA nView™ multi-display technology and support for up to four displays, business professionals can maximize productivity through increased desktop real estate and advanced application management tools. The NVS 450 is certified on leading business applications and designed to meet the needs of today’s most demanding business user. The NVS 450 by PNY is the chosen solution across mixed environments, including financial institutions, emergency call centers, digital signage systems, and other mission-critical environments. Featuring CUDA™ parallel computing processors with a unified architecture designed to dynamically allocate GPU resources, the NVS 450 solution delivers optimized performance for business graphics. 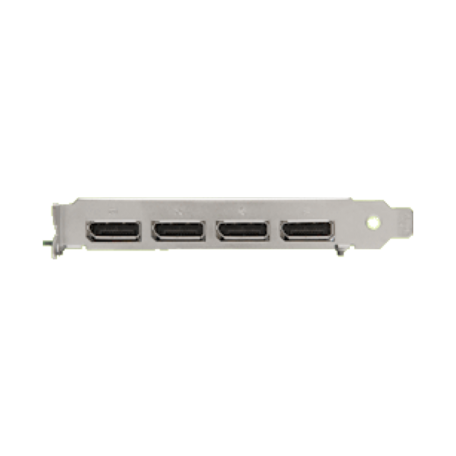 Capable of supporting up to four digital displays at resolutions of up to 2560 x 1600 each through the DisplayPort connectors, the NVS 450 maximized productivity by enabling more screen real estate from a single graphics card. Through the NVIDIA nView advanced display software, the NVS 450 enables features such as profiles, extended Windows taskbar, gridlines, and virtual desktops. In addition, NVS 450 provides high-quality HD video output and high memory bandwidth for today’s more demanding digital signage requirements.